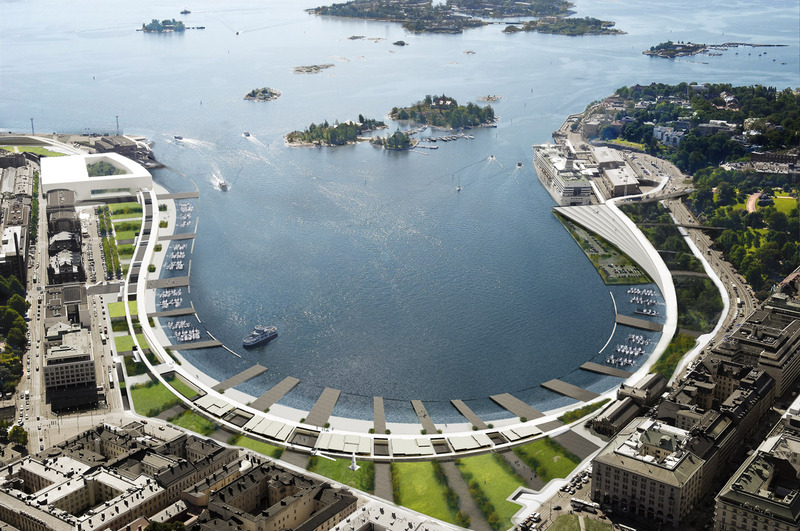 The South Harbour district of Helsinki needs to reclaim its connection to the sea. In doing so it will offer much-needed revitalization to a local community, and provide the city an architectural symbol that proclaims its status as cultural capital. With this in mind, we sought to create a dynamic urban zone that is an edge condition between the natural and the artificial environment. 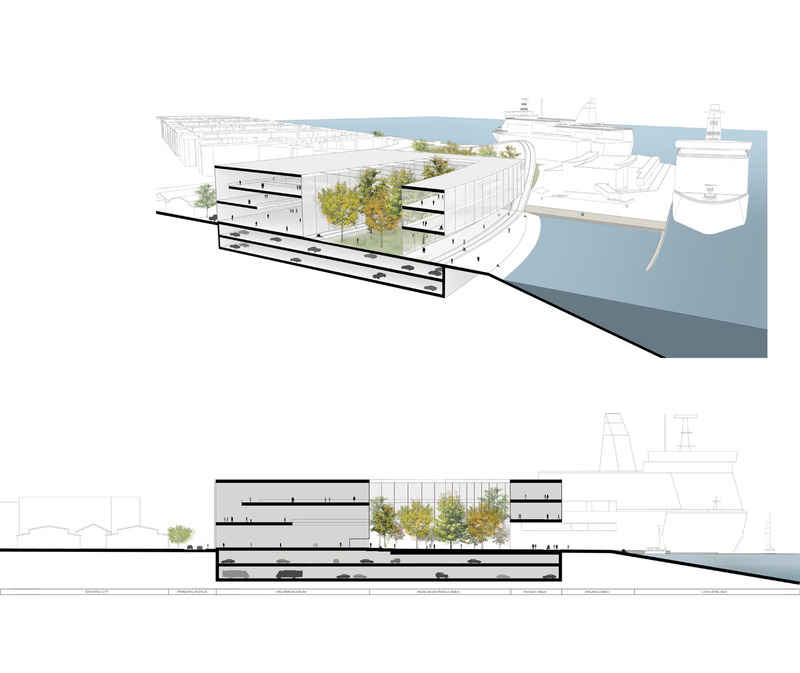 Our proposal is an urban spine which acts as a nexus for three primary systems: water, parks, and built environment. Each system interpenetrates into its adjacencies, creating a dynamic and fluid urban stage that allows for multiple tempos and maximum performance. We chose to emphasize the idea of contact with the water. 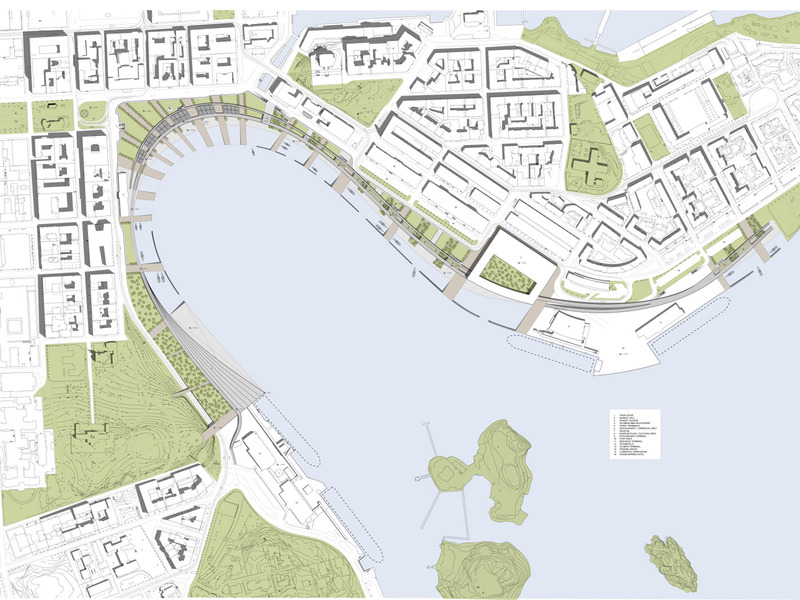 This is accomplished in both visual and physical terms by extending the urban grid to the water and creating a system of piers that extend into the harbor. At the moments of connection between old fabric and new we have created a system of parks, the foundation of which is our extension of the existing Tahtitomin Park. The urban spine is more than just the interplay of water, parks, and city fabric. 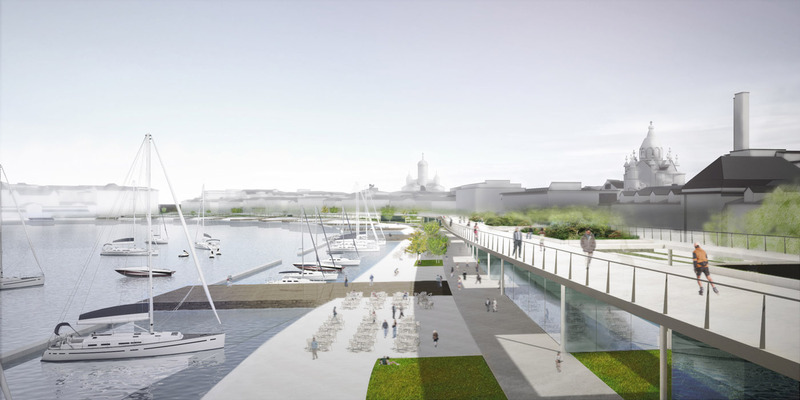 It is an organizational system that defines a series of activities that responds to the multiple scales of South Harbour’s urban adjacencies. We have inserted a museum on the eastern edge that will act as a new monument for Helsinki’s urban development and its place as a cultural capital. This museum acts as an anchor for the spine, which tapers down in scale towards the central market area. 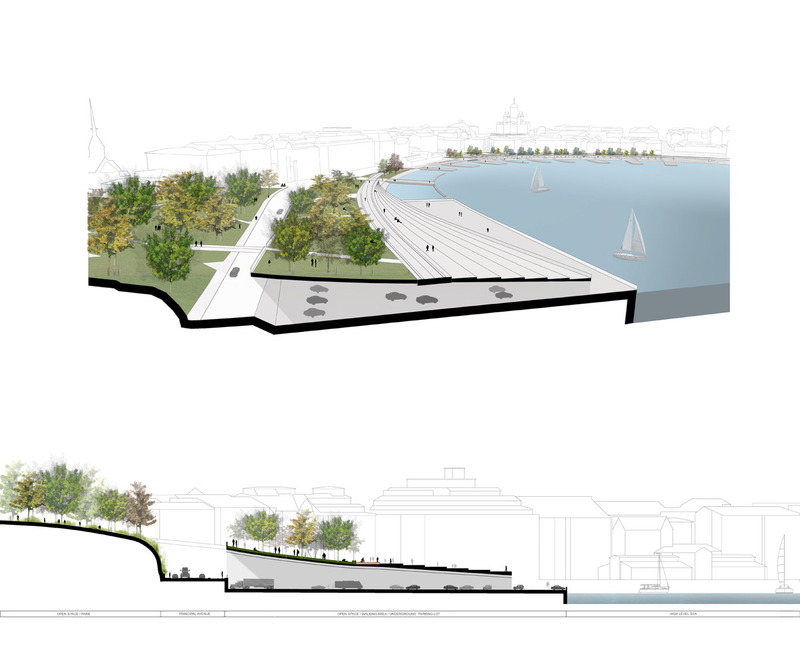 Our proposal will activate South Harbour in all seasons. The urban spine is a covered transitional space that can be open or closed depending on time of year and weather conditions. 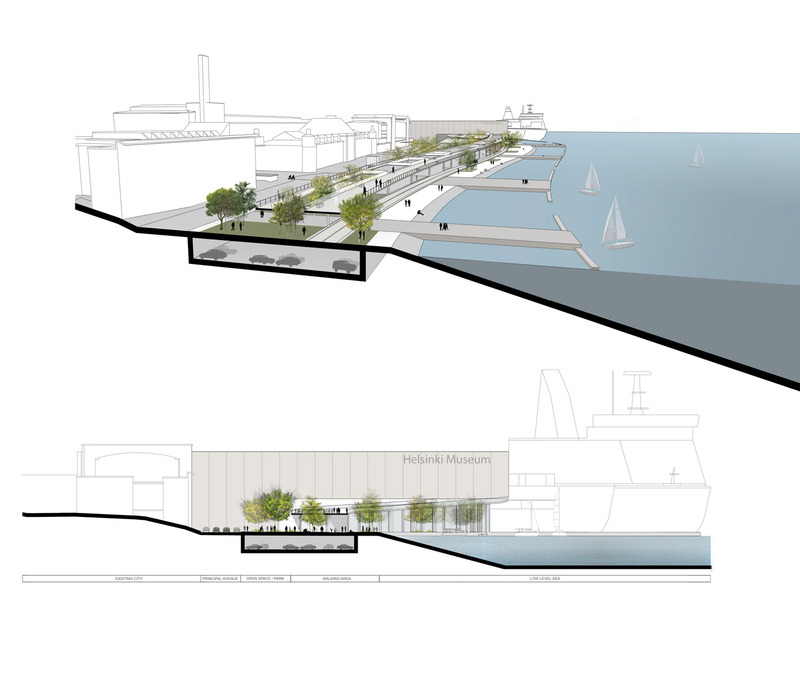 In the summer, for instance, the commercial spaces within the spine will be open and extended out towards the water. 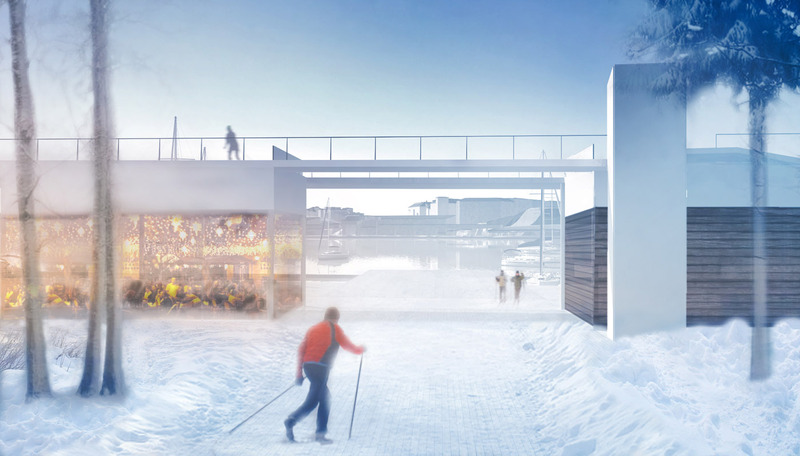 Furthermore, the areas of water along the market will be safe and controlled swimming zones, able to be converted for ice-skating in the winter. 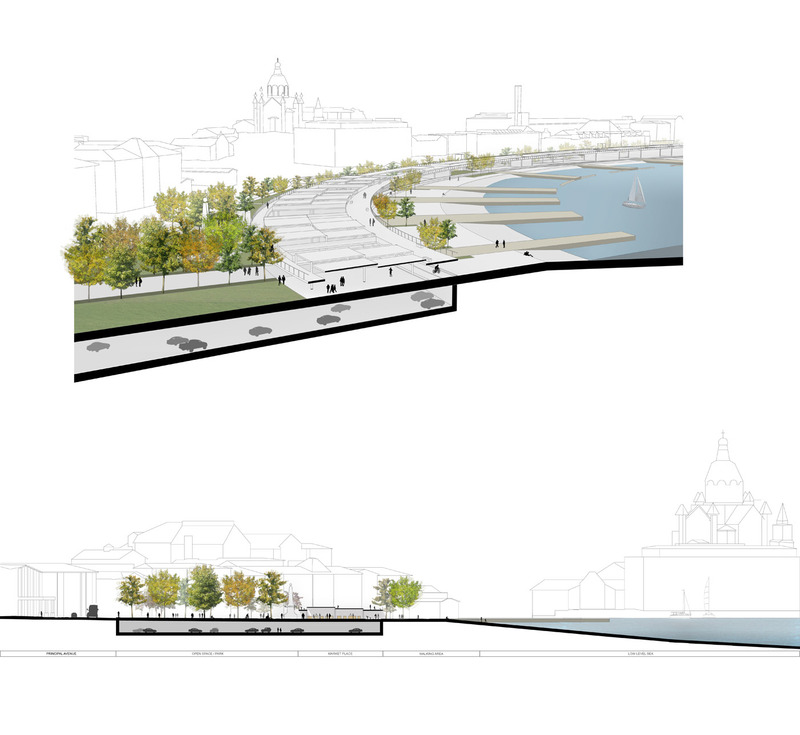 Ultimately, our proposal for Helsinki’s South Harbour is about the creation of urban moments. We look at today’s global cities as laboratories for dynamic adjacency, and thus have created a series of spaces that offer countless possibilities for activation.